Scarlet Diva is by no means a bad movie, just not quite fully fleshed out and does have some amateurish filmmaking and style, though for what I’m sure was a considerably limited budget, not too bad. Film Movement provided me with a free copy of the Blu-ray I reviewed in this Blog Post. Plot Synopsis: Anna Battista (ASIA ARGENTO) is a rising young actress who, despite her popularity and success, experiences despair and degradation at the hands of an abusive industry. Her harrowing journey towards redemption leads her on a sordid spree of excess across America and Europe while trying to recapture her innocence and find true love. Quick Hit Review: To be perfectly honest, I approach this review with some trepidation. 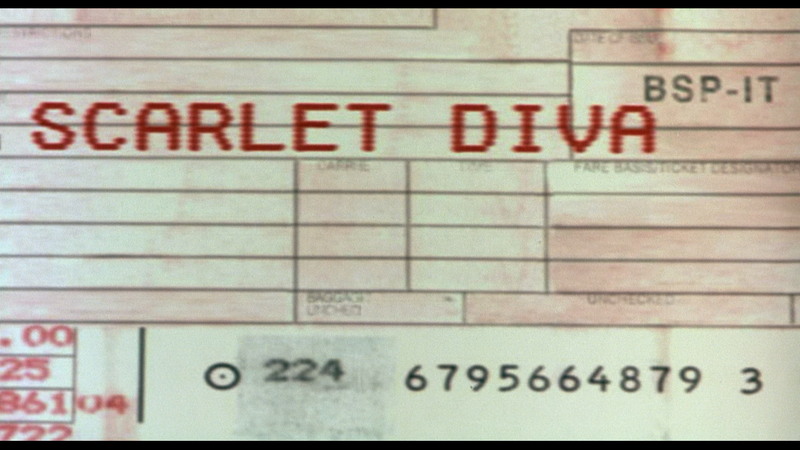 A quote from the back cover makes Scarlet Diva the “earliest #MeToo film” as well as “Time’s Up”, and while that might be true, with some of the controversy surrounding writer/director/star Asia Argento makes this an unusual situation to review, call it poor timing on the studio’s part. My general point of view when it comes to celebrities is separating the artist from the art and from that perspective, Scarlet Diva, albeit amateurish in some regards, certainly has some brave, if not uncomfortable scenes from Argento. And yet, even while writing this review, considering the subject matter, it is difficult to ignore how closely this resembles the “Me Too” movement and there’s even one scene that I believe at least was a basis for Asia Argento’s real-life assault at the hands of Harvey Weinstein. The performance from Asia Argenta is generally excellent and it’s apparent she is drawing some painful personal history that she has been open about in various interviews. In this movie, she’s assaulted or taken advantage of by various slimy individuals from executives and those in powers, and of both sexes. And even though I did say it was amateurishly shot, I will admit, this style really gives it a more private vantage point which would’ve been lost if it were shot like any other drama. This release comes with a 20-page booklet featuring an essay by Kier-La Janisse. Looking into the Eye of the Cyclops (8:01) is a featurette on painter Joe Coleman who also acted in Scarlet Diva. Asia Argento Original Release Interview (16:58) is from 2002 (I think) as she discusses her film. Making Scarlet Diva (8:28) takes us behind-the-scenes from 1998/99 and includes interviews with actress/writer/director Asia Argento, producers Claudio and Dario Argento, director of photographer Frederic Fasano. Rounding things out is the 2018 Theatrical Trailer (1:35), the Original Release One Minute Promo (1:01) and the Original Release Eight Minute Promo ()8:04. Scarlet Diva underwent a new digital restoration and is presented in its original 1.85 widescreen aspect ratio and a 1080p high-definition transfer. The picture probably does look better than it ever would but even so, detail isn’t the best and colors are on the muted side, but the transfer does look fairly clean and free of dust marks or scratches and there weren’t any noticeable artifacts or aliasing. The disc comes with an Italian language PCM Stereo track which did sound decent enough with good dialogue and even though there was some minor hissing, was serviceable especially for an independently financed film.